On Friday July 31, Yoweri Museveni, 70, accompanied by hundreds of supporters picked up a form to run for re-election in 2016. He addressed his party officials and supporters afterwards saying he was asked by his party and members across the country to offer himself for the position. 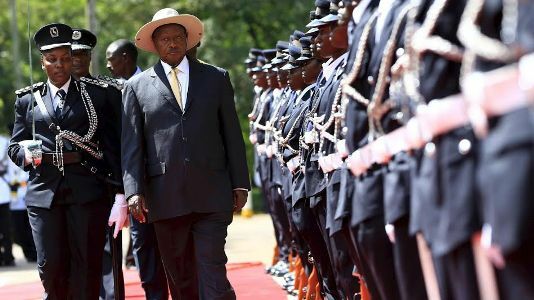 The 70 year-old has been president of Uganda since 1986 after he came in through a coup and has been re-elected three times since 1996. Surprisingly, a recent poll suggests that 71% of Ugandans will vote for him again for another term. The elections will see Museveni challenged by his longtime rival Kizza Besigye, and another contestant, Amama Mbabazi, a former prime minister.